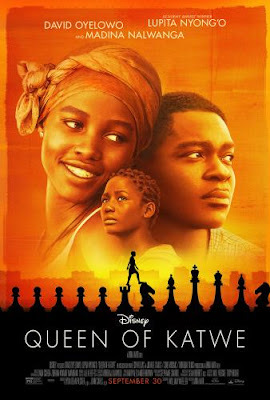 Enter for a chance to see QUEEN OF KATWE on Tuesday, September 27 at 7:00 pm in Minneapolis. Disney’s “Queen of Katwe,” the vibrant true story of a young girl from the streets of rural Uganda whose world rapidly changes when she is introduced to the game of chess. The powerful film, which stars David Oyelowo, Oscar winner Lupita Nyong’o and newcomer Madina Nalwanga and is directed by Mira Nair.